Aemilia Bassano was a member of a distinguished family of Italian musicians who rose to prominence in England during the reign of King Henry VIII. Henry VIII had at least one redeeming quality: he loved music. When the six sons of the musician Jeronimo Bassano arrived in England from Italy, they were welcomed at court, and by 1540 five had been given positions as royal musicians, the eldest having returned to Italy. The father, Jeronimo, was a sackbut player and musical instrument maker to the Doge of Venice, moving there from Bassano del Grappa with his five eldest sons: Jacomo, Alvise, Jasper, John, and Anthony. The youngest, Baptista, was born in Venice. In England the five Bassano brothers were given apartments by the King in the Charterhouse, a comfortable former monastery in the north of London on the edge of the country, with extensive grounds and one of the few pure water supplies in the capital, where they remained for ten years, before losing this privilege during the reign of Edward VI. There was a wide network of musicians and musical families in London at the time. In addition to the extensive Bassano family there were the Johnsons (who produced the lutenist John Johnson and Robert Johnson, who composed the music for several of Shakespeare's plays), and the Lanyers (who produced a number of musicians, including Ben Jonson’s collaborator Nicholas Lanyer or Lanier). Aemilia Bassano was baptised on 27 January 1569 at the church of St Botolph’s Bishopsgate, daughter of the youngest Bassano brother, Baptista, and Margaret Johnson, probably a member of the musical Johnson family. There has been debate over whether her parents were married, owing to a phrase in Baptista’s will, in which he refers to ‘Margaret Bassany alias Johnson my reputed wife’. However, the confusion may have arisen over the change in meaning of the word ‘reputed’ in the years since this was written. At the time ‘reputed’ simply meant ‘known to be’. Margaret and her daughter were unequivocally his heirs, and his daughter was recognised by him as legitimate. Aemilia was only seven when her father died and eighteen when her mother died. A further obscure element in her family background is one of faith. The Bassanos may have been Jewish. There were both Christian and Jewish Bassanos in Italy. However, the town of Bassano del Grappa was hostile to Jews and expelled many in 1516, which may have some relevance to Jeronimo’s move to Venice, although this may simply have been prompted by the search for patronage. Whatever their origins, the Bassanos were practising Christians in Venice. In England they were firmly of the English Protestant faith. Indeed Aemilia’s mother had close links with the reforming Protestant movement, and as a young child Aemilia was sent to be educated in the home of Susan Bertie, a young widow, dowager Countess of Kent, and member of a stoutly Protestant family. Susan Bertie and her mother, Catherine Bertie, dowager Countess of Suffolk, were strong supporters of the humanist movement and believed that girls should be given as sound an academic education as boys, along the educational principles of Roger Ascham, tutor to Queen Elizabeth (who was herself a noted scholar). In the household of Susan Bertie, Aemilia was given a wide education in the classics, becoming fluent in Latin and possibly Greek. She almost certainly learned several modern languages as well. The extent of her knowledge of classical rhetoric and literary tropes is evident in her poetry, as is her familiarity with the poetry of her contemporaries, especially Spenser and Daniel. By the time of her mother’s death, Aemilia had shown herself a gifted scholar and musician. 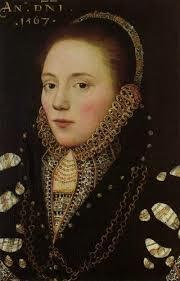 She was also practical and capable, for in her will of June 1587 Margaret Bassano named her eighteen-year-old daughter as her executrix, with careful instructions set out as to the disposal of her property, and the support Aemilia was to provide for her widowed brother-in-law and her nephew. Soon after her mother’s death, Aemilia became the mistress of Henry Carey, Lord Hunsdon, the Lord Chamberlain, 42 years her senior. 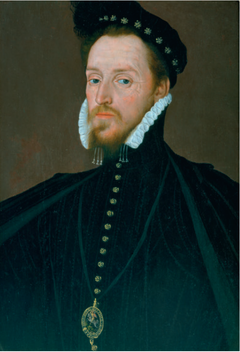 Henry Carey was first cousin to Queen Elizabeth, being the son of Mary Boleyn, Anne Boleyn’s sister. At the time of his birth, Mary Boleyn was married to William Carey, but she was also Henry VIII’s mistress, so there is a possibility that Hunsdon was in fact King Henry’s son and therefore the Queen’s half brother as well as her cousin. He and the Queen were very close, as he was one of her most trusted advisors, and he held a prominent position at court. As his acknowledged mistress Aemilia also attended court and mixed with the greatest in the land. She was to say later that she had been very happy with Henry Carey, who kept her in great state. Carey’s affection and generosity only extended so far, however. When Aemilia became pregnant in 1592, he could not rid himself of her quickly enough. She was hastily married off to her first cousin once removed, Alfonso Lanyer, another court musician, and they moved to Westminster, to a house which must have been very humble compared with Hunsdon’s grand mansion on the Strand. It was an unhappy marriage. When the child was born and baptised Henry, Lord Hunsdon seems to have taken no interest in his son. Alfonso Lanyer quickly spent all Aemilia’s money and for the rest of his life engaged in restless and profitless escapades, even becoming involved in the Earl of Essex’s rebellion against the Queen in 1601. After a series of miscarriages during the early years of her marriage, Aemilia consulted the astrologer and doctor Simon Foreman. Foreman kept extensive case notes and it is these which have provided most of the information about Aemilia. He was, however, a sexual predator, boasting in his private diary about his conquests of his female patients. Aemilia seems to have rejected him, to his chagrin. Aemilia and Alfonso had one child, a little girl baptised Odillya on 2 December 1598 at St Margaret’s, Westminster. Alfonso then went off on one of his jaunts with Essex, while Aemilia moved back to the parish in London she knew best, St Botolph’s, Bishopsgate, where Odillya was buried on 6 September 1599. It seems likely that Aemilia and Alfonso lived apart after this. 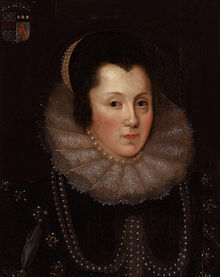 It may have been at this period or soon afterwards that Aemilia spent some time at Cookham with Margaret Clifford, Countess of Cumberland, perhaps as a gentlewoman companion and possibly also as a tutor in music and languages to the countess’s daughter, Anne Clifford, later Countess of Dorset. These must have been amongst the happiest years of her life, for she gives a lyrical description of her time with the Cliffords in The Description of Cookham, the final portion of her volume of poetry published in 1611, Salve Deus Rex Judaeorum. It was also her friendship with Margaret Clifford that inspired her to publish her poetry. 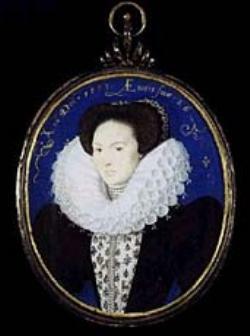 Aemilia Bassano – or Aemilia Lanyer, as she now was – has been described as the first professional English woman poet. Her volume of poetry was published unashamedly as a serious, professional work. There had been a handful of English women poets shortly before Aemilia, but none aspired to be taken as seriously as their male contemporaries. The Salve Deus Rex Judaeorum is a major philosophical and religious work, exploring the nature of personal faith and relationship with Christ. It has also been seen, in modern times, as a seminal feminist work. This was not quite a concept Aemilia would have recognised. Nevertheless, it asserts the right of women to be valued, to be recognised as virtuous, and not to be perpetually damned for the sin of Eve in the misogynistic Book of Genesis. Aemilia emphasises the ‘feminine’ qualities in Jesus’ personality – gentleness, modesty, compassion – and examines how these qualities enhance women’s particularly close relationship with Him. It is a remarkable work, which gained Aemilia praise at the time, slipped into obscurity for many years, and has recently been recognised as a major achievement. And what of that intriguing possibility, first mooted by A L Rowse? Was Aemilia Shakespeare’s Dark Lady? As Lord Chamberlain from 1577, Hunsdon was responsible for the Queen’s music, chapel choir, and court entertainment. It was no doubt through his connections with the court musicians that he met Aemilia. Shakespeare’s company regularly appeared at court. The players would have known both Hunsdon and the court musicians. 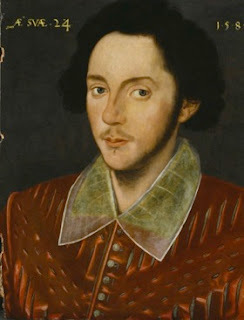 After his affair with Aemilia ended, Hunsdon became the patron of Shakespeare’s company on the death of their patron Lord Strange. All these people are intertwined, so Shakespeare almost certainly knew Aemilia. With an Italian father, Aemilia may well have had ‘dark’ Mediterranean colouring. She was known to be very beautiful, she was exceptionally intelligent and well educated. All of this would have appealed to a man of Shakespeare’s abilities. So – it is possible. Can it ever be proved? Not on the basis of present evidence, though it is an intriguing notion. 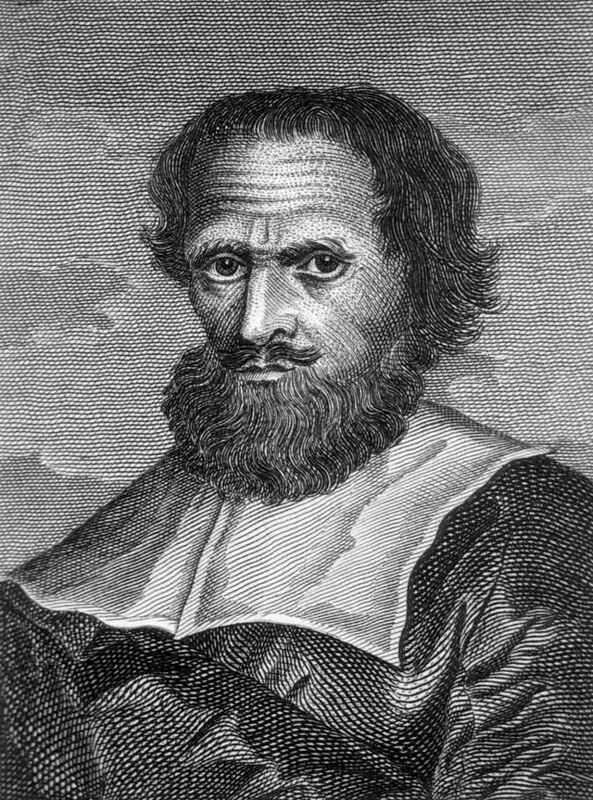 Alfonso Lanyer died in 1613. His income as a musician died with him and Aemilia seems to have found herself in somewhat straitened circumstances. 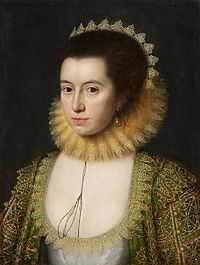 She ran a school in the area of St-Giles-in-the-Field from 1617 to 1619, but it was brought to an end through an acrimonious dispute with her landlord. She eventually secured an income through a hay and grain patent shared with Alfonso’s brother Innocent. Her son Henry also became a court musician, married and had two children: Mary (1627) and Henry (1630). He died in 1633, and Aemilia seems to have cared for her grandchildren, eventually dying herself in April 1645, at the age of 76. It was a remarkable life. Most striking, looking back over it, are Aemilia’s resilience and courage. Despite being abandoned by her aristocratic lover and obliged to marry a man she clearly disliked, she retained her independence and self-belief. Her Salve Deus Rex Judaeorum would have been a remarkable work had it been written by a man in comfortable circumstances. That it was written by a woman – the orphaned daughter of an Italian immigrant, used, abandoned, impoverished – was an heroic achievement and worthy of celebration, whether or not she was the inspiration for Shakespeare’s Dark Lady. Aemilia plays a small part in my most recent Kit Alvarez novel, The Play’s the Thing. What a remarkable life! Thanks, Ann. One thing though - I've just read elsewhere that after Lord Strange died, the Lord Chamberlain's players became the King's Players - which would suggest that the King became their patron. Is that wrong? Excellent Ann, thank you. Whatever you think of the 'Dark Lady' it would have been fascinating to eavesdrop on the company of players and musicians at that time! Sue, I think Lord Strange (d. 1594) was patron of Lord Strange's Men which Shakespeare may have been involved with. The Lord Chamberlain's Men became the King's Men by royal warrant in 1603.